Sources in agency said if the government chooses to maintain silence on the issue in face of opposition attacks. Agency insiders claim the face-off between its two senior-most officers has been on for some time. The government will not interfere in ongoing tussle between Central Bureau of Investigation chief Alok Verma and his second in command, Deputy Special Director Rakesh Asthana, in view of the autonomy of the premier investigating agency. On Monday, Minister of State in PMO Jitendra Singh told NDTV, "We are just an administrative head and deal with their administrative and policy issues". Sources in agency said if the government chooses to maintain silence on the issue in face of opposition attacks, it signals that Mr Asthana does not have its mandate for the top post. The fault lines within the agency came into the open after the contents of a couple of letters from the agency to the Central Vigilance Commission became public. In one, it said Mr Asthana cannot be consulted for appointment of officers of the CBI as his role was under the agency's scanner. 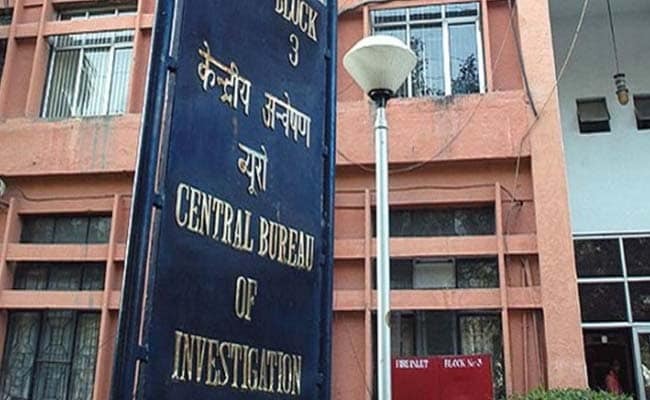 In the other, the agency said that despite being number two in the CBI hierarchy, Mr Asthana cannot represent the agency in the absence of Director. The officer who signed off these letters - Joint Director (Policy) AK Sharma - is seen as being close to BJP chief Amit Shah. Agency insiders claim the face-off between its two senior-most officers has been on for some time. A section of officers see this as a reflection of the power tussle between two batchmates for the top post. Alok Verma retires next year. Rakesh Asthana, a 1984-batch officer from Gujarat cadre who headed the state Special Investigation Team that probed the burning of Sabarmati Express in Godhra in February 2002, is seen to be close to Prime Minister Narendra Modi. Another IPS officer, YC Modi, an Assam-Meghalaya cadre officer of the 1984 batch, is the other contender for the top post. He was with the agency earlier and is currently heading the National Investigating Agency. There are others who say that Rakesh Asthana's record has weighed against him in this tussle for the top post. "People at the top level in the government are very clear that they don't want to be associated with corruption," a top level government functionary told NDTV. Rakesh Asthana's appointment as the CBI Special Director in October 2017 had invited criticism from several quarters. The non-governmental organisation Common Cause had filed a petition in the Supreme Court calling the appointment "illegal". The petition had alleged that the appointment violated the principles of "impeccable integrity" and "institutional integrity". The petitioners alleged that Rakesh Asthana's name had surfaced in a diary obtained by the CBI from the premises of Gujarat-based Sterling Biotech in August, which suggested that he accepted bribes from the company. The centre, however, had told the court that he has an "outstanding career" and is investigating over 40 high profile cases, including the VVIP chopper deal and the coal scam case. Last year, the Supreme Court dismissed the plea, saying the appointment "does not suffer from any illegality". Opposition Congress has said the internal fight in the CBI is affecting its neutrality and shows the political influence being exerted on the agency.